Ambassadors from Arab countries to meet Brazilian President-elect in order to convince him not to relocate embassy to Jerusalem. 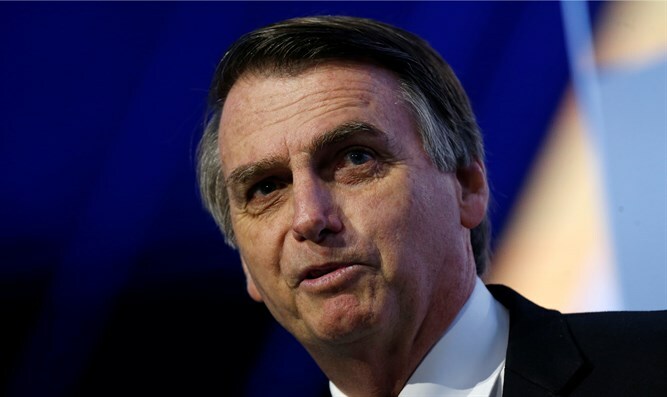 Ambassadors from Arab countries are slated to meet with Brazilian President-elect Jair Bolsonaro in the coming days in order to convince him not to relocate his country’s embassy to Jerusalem, the Palestinian Authority (PA) envoy to Brazil said on Thursday. "Brazil should be a mediator, not part of the conflict,” the envoy, Ibrahim Alzeben, was quoted by Channel 10 News as having said. Alzeben recently indicated he would lobby the new government against the move. "Let's hope it's a campaign announcement. We are hoping that (the incoming government) will maintain Brazil's traditional position, respectful of the United Nations resolutions on the issue," he said earlier this month.